I was looking at my newly acquired brown bag from chat chat and I thought...my crochet might look nice on it...what do you think?? I just love that bag!!! And really like the second pic with the crochet on it! 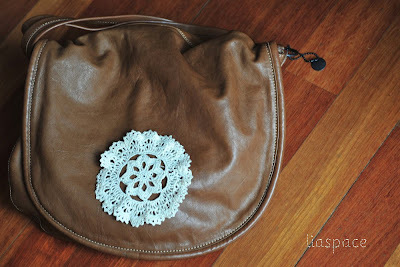 I love the crochet motif on bag. I have made a cushion like this. 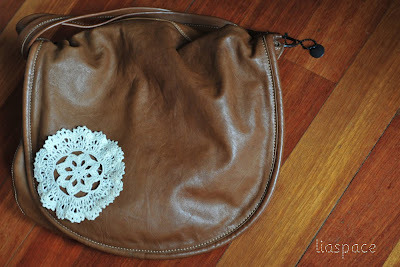 How did you attach motif to the bag...did you use any hot glue or you sew it to the bag..
Definately - it looks fantastic! It looks really good on the bag! And the crocheted piece is very lovely!